Trust is the most solid of foundations on which to build relationships, which in turn are also the foundation of a successful work environment. When your employees do not trust their leaders, it is only a matter of time until the signs will be evident. This will significantly affect the performance of your employees and the overall work environment of the company. Since ‘trust is the ultimate human currency’ according to SAP SE CEO Bill McDermott, established trust-filled professional relationships in your company is a valuable asset you would want to have. 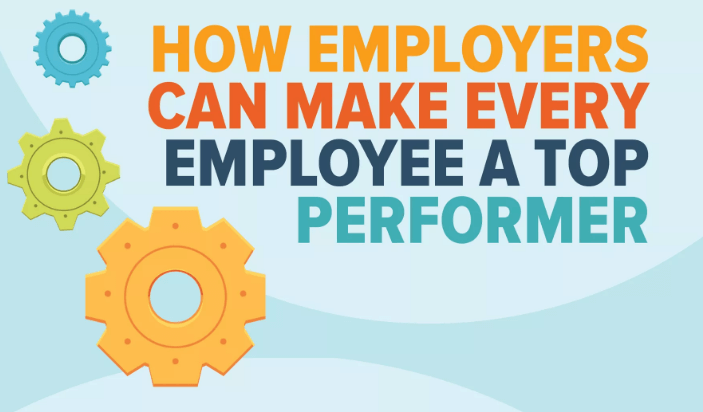 It is the leader’s responsibility to take the initiative, so he or she should have a firm grasp of this function to have the ideal work environment for the employees to boost performance. Asking employees to contribute to streamlining the process has a high chance of getting some good ideas. This will also make them feel deserving of the rewards once handed out and let them know what’s needed to earn them. Goals should not be arbitrary, but instead be clear, challenging and achievable to get the best results. Integrate a way to give feedback in your process and involve task complexity. The loftier the goal, the higher the performance compared to just giving them positive verbal encouragement for motivation. However, you need to be careful in providing immediate gratification through affirmation and rewards since some employees have never learned or have forgotten to achieve a significant milestone. You can instill in them a sense of accomplishment whenever they set and reach a meaningful goal. Experienced peers and mentors have the wisdom and aptitude to teach employees who are looking to develop a new skill or learn how to take on unfamiliar responsibilities. Mentoring benefits not only the apprentice but also the mentor and the company. This kind of relationship promotes a positive social environment, job satisfaction, and company loyalty. The common problem among employers is they sell their employees short by expecting too little of them, which often comes from the fear that their employees can’t handle specific tasks. What’s worse is an employer may be trying to protect them from failure. The solution here is to give your employees an opportunity to step out of their comfort zone to provide them with the space needed to improve. When presented with a challenge, they are pushed to evolve and be better. Giving your employees a dead-end job is never a good thing. They will feel boxed in with repetitive tasks like a machine along a production line. This stunts any growth with all the work limitations they have to struggle with. As a good leader, you will have to present opportunities for your employees to acquire new skills and experiences that may lead to them being leaders themselves. Rewarding employees who have performed well by producing tangible results such as closing deals and hitting sales goals is a relatively straightforward method of giving them value and their achievements. Aside from this, giving out recognition rewards for outstanding professional behavior like being on time or effective collaborations with their team can encourage others to improve. Make sure to only reward behavior and performance that have a direct influence on the company’s goals. Rewarding intangible achievements that lack definition such as ‘initiative’ and ‘resourcefulness’ may misinterpret this as favoritism. This can cause them to have no concrete sense of what it takes to earn them. Being in a position of leadership requires the continuous empowerment of your employees to help them grow and become the best version of themselves. It should be built around relationships based on trust, agreements on the kind of behavior that produces results and the provision of challenging work. By easing up on control and giving your employees more significant responsibilities in the company, you can efficiently provide them with the tools to achieve mutual goals. Ron Cullimore is a deeply experienced customer service and recruitment professional. His expertise covers client experience and engagement, service management, business development, offshoring and recruitment strategy for start-ups, SMEs, corporations and multinationals. Ron was previously a management professional at Optus, a large Singaporean/Australian Telco, where he was involved in managing and recruiting local talent for their BPO operations in the Philippines. Eventually Ron relocated full-time from Australia to Manila and he joined the executive search and headhunting specialists, Manila Recruitment. His passion lies in providing well-rounded recruitment solutions to teams with specialist recruitment needs in the Philippines.